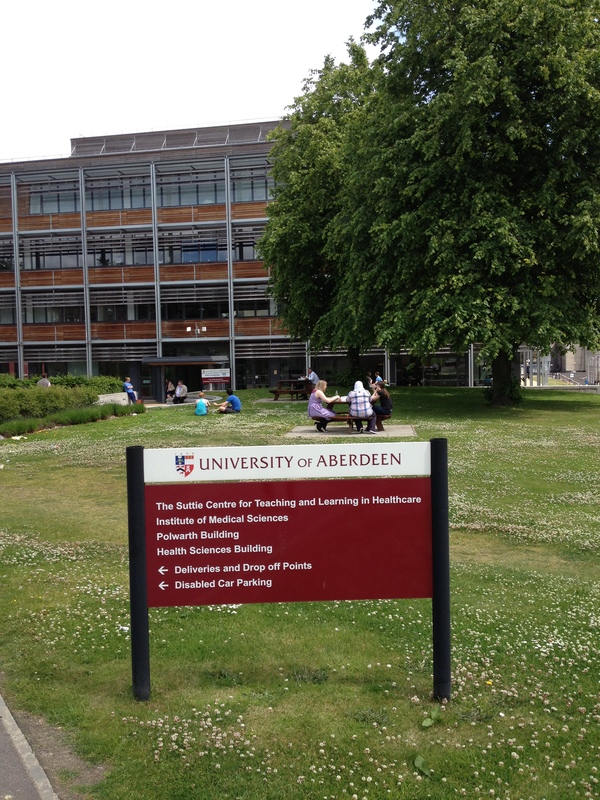 I recently visited Scotland for a conference held at the University of Aberdeen. The conference was entitled ‘Global Medical Humanities.’ I had never really given much thought to the field. Medical Humanities is an interdisciplinary field, combining medicine with literature, psychology, ethics, theology studies, history, etc. I was urged to submit a paper to the conference -my wonderful supervisor insisted that I had something to add, that I had something to say, and that it was worth listening to. I wrote an abstract and was surprised to find that it was accepted. Then the process of actually writing the paper was daunting. I had barely managed to write an abstract. How would I approach the subject that I claimed I could illuminate, when I could barely acknowledge it amongst family and friends? I chose to write about my experience with Multiple Sclerosis, and pose a theoretical framework for an understanding of a ‘hybridized’ disease, if you will. I examined my identity as a woman afflicted by the MonSter- and what that really meant in my culture. I avoided writing the paper for as long as possible. I piled books of Disability Studies on my desk, but refused to open one. When I finally did write the paper, I was hesitant about going through with it and attending the conference. So I let my sister read it, and I could tell she loved it. She told me that it was great, and I should believe in my voice. Later, I finally mustered the courage to read it out loud to the one person who has been there for me for the past decade, throughout my struggle with MS – my best friend. She listened as I read, and I saw her green eyes glistening with tears. I knew I had managed to say something. My panel consisted of three others presenters, and amongst them was my supervisor. The panel was called ‘Illness Narratives.’ Finally, I was able to label the type of work I was interested and invested in. After my supervisor gave her paper, it was my turn. I am still wary of speaking in public, although I teach, and I stand in front of haughty students. I still get extremely nervous, and I panic, and sweat, and my voice shakes, and I am suddenly very aware of my surroundings. In general, I have very little to say. I don’t necessarily avoid speaking, but I don’t have the need to voice my thoughts. This poses a problem at times, but that’s another topic altogether. I was beyond ecstatic. I was finally able to speak, and I had, it seemed, spoken well.